How about you drink a nice cup of mind your own business (MYOB)? No, I have tabled the decision until the 1,000,000 items on my “YOU PROMISED TO DELIVER THIS WORK MONTHS AGO” list comes down to a dull roar, and I can sit down to read a book without a crashload of guilt falling on my shoulders. Is that so wrong? What is it with people and houses? A few years ago, in passing, I mentioned wanting a first edition Hemingway I saw at Barnaby Rudge. Nobody has mentioned it since–not once! I once mentioned investing in a print from De Koonig. Nobody has ever once followed up on that. But a house purchase? THAT’S REALLY REALLY IMPORTANT and we need to ask and ask and ask about it. Apparently, the lesson from this housing crash hasn’t gotten through people’s brains: just because you buy a house, even a house in a *walkable community*, that action doesn’t make you a better, more stable, more worthy citizen than anybody else. It makes you a person with a mortgage. In the past few days, I’ve had yet more frenzied conversations. Now, my exposure to real estate related conversations is going to be high anyway since my real estate colleagues are great to hang around and I learn a lot from them. Look, people. It’s doesn’t matter if you buy a huge house with a pool in back or a New Urbanist urban-hipster approved condo loft: YOUR SHELTER IS NOT WHO YOU ARE. The Center for Neighborhood Technology has a blog!! How did I miss this? 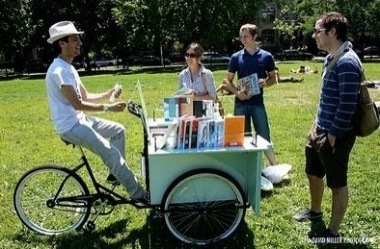 The Center for Neighborhood Technology has a blog up! Go read! I’ve been pretty scarce around these parts lately, due largely to finishing off TRB papers and doing fieldwork. I’ll be back next week. One my wonderful colleagues, Richard Green, and I were discussing Nassim Taleb’s The Black Swan the other day. Richard, a kinder soul than me, finds value in the book. I think the Taleb is a self-aggrandizing poseur who simply restated what all of us interested in low probability events have said for years. (Take a look at his website, which advertises “Quotes from the Black Swan that the Imbeciles Did Not Want You To Hear.” Barf. Go stroke your beard, Nassim. ) I guess if there is a contribution there, it’s taking the empiricism of low probability events and making it Bill O’Reilly blunt. Good job. What the world needs is less nuance. Richard notes that Taleb shows particular disdain for economists. In response, I brought Richard the most recent Hedgehog Review which has a discussion of economics and its recent “failures”. Philip Mirowski’s piece is particularly cutting. This morning I picked up Shopcraft as Soulcraft by Matthew Crawford, and one of the first things he does is take a shot at economists and how they think. For years, the larger discussion about planning and planners has been “whither planning” in a world where the profession’s reputation has been tarnished by its association with modernist institutions and their pet project of urban renewal. Subsequent decades have seen the attrition of the profession into being an apologist for real estate development, which real estate development doesn’t need, and an advocate for design qua regulation as part of real estate development. We may be at a similar “whither economics” moment post-recession. Just like it’s not right to associate all of planning with Robert Moses for intellectual convenience, it’s not fair to associate all economists with Milton Friedman. Moreover, given how innumerate most of the world is about probability and statistics, I’m less sure that bad economics led us anywhere as much as a misunderstanding and misapplication of what economists have been telling us. Still, among the social sciences, who should be far humbler than we are in our attempts to build knowledge about society–for it’s more like an constantly mutating virus than anything else–economists have been amongst the biggest bullies on the block for a long time. Ratcheting that down a peg, to where it is one voice and one approach–and a partial one at that–to understanding society, is not a bad idea. In addition, I think there are lessons here for the profession itself in thinking about knowledge formation. Chatting with economists, which I do routinely because I like and respect the ones I know very much, can be in my experiences less an exercise in communicating ideas and more like a boxing match where the point isn’t to reach a shared understanding, but to establish who is smarter. While that may serve a purpose, it’s no way to get yourself understood–and it might not be a way to get to the best social strategies. Instead, it may simply uncover the one who has best mastered playground-style male banter, not the best idea. Deliberation is harder than throwing punches and deriving counter-examples; listening is a very undervalued skill in knowledge formation. I do think that one thing economists have systematically failed to do is listen to dissent among their own ranks and listen to the plurality of voices out there. Nothing, perhaps, sums this up more than this recent episode. Yeah, sure, training in economics increases your ability to understand the issues–absolutely–but that doesn’t mean you’re the only person entitled to have ideas or to speak about the issues. If being a professional planner has taught me anything, it’s this: you never know where the next great idea is going to come from. Nonetheless, there is a tremendous amount of human capital in the economics profession. These are very smart, highly trained people, and it makes sense to think about what is “baby” and what is “bathwater” about the past three decades of economic thought rather than swinging from the extremes that we have: economists are all-knowing wizards who hold the handles of economy and who merit big salaries when the boom is on and there’s money in everybody’s pockets, but they are know-nothing do-nothings when the bust comes and we’re all sad about that. There’s a point in between those two straw men where the social sciences reside in providing information about policy, and it would be nice if we could achieve that perspective for all of us. I may be biased, but I honestly think USC has the best MPL program I’ve ever been associated with, due in large part to visionary leadership of David Sloane, Dowell Myers and now Tridib Banerjee. Here are two news stories to show what some of our students are up to–and it’s amazing. Cities, initially a product of the manufacturing era, have been thoroughly remade in the image of consumer society. Competitive spending among affluent households has intensified the importance of style and design at every scale and design professions have grown in size and importance, reflecting distinctive geographies and locating disproportionately in cities most intimately connected with global systems of key business services. Meanwhile, many observers still believe good design can make positive contributions to people’s lives. Cities and Design explores the complex relationships between design and urban environments. It traces the intellectual roots of urban design, presents a critical appraisal of the imprint and effectiveness of design professions in shaping urban environments, examines the role of design in the material culture of contemporary cities, and explores the complex linkages among designers, producers and distributors in contemporary cities: for example fashion and graphic design in New York; architecture, fashion and publishing in London; furniture, industrial design, interior design and fashion in Milan; haute couture in Paris; and so on. 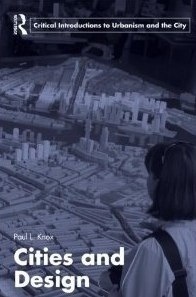 This book offers a distinctive social science perspective on the economic and cultural context of design in contemporary cities, presenting cities themselves as settings for design, design services and the ‘affect’ associated with design. Cities most certainly predate the manufacturing era. I am assuming he means modern cities. Metropolitan Policy Program’s release today of a major new report: “Export Nation: How U.S. Metros Lead National Export Growth and Boost Competitiveness.” Related to other work of ours you have been following, this survey provides a unique and timely analysis of exports of goods and services from metropolitan areas, including rankings of the 100 largest metros according to the level of their export production, the number of jobs supported by exports, and other criteria. Given your interest in the nature of the next economy in America, regional industry clusters and innovation systems, and our work in general I thought you would like a slightly early heads up on the report release. You can view the final report, major findings for the largest 100 metros, andregional companion papers for the Great Lakes and Intermountain West here. In the meantime, I especially want to let you know about the compelling forum we are holding tomorrow on this topic at Brookings from 9:30 am—12:00 pm. Brookings Trustee and Met Council Member James Rubin, Senior Partner at BC Partners, will provide welcoming remarks, and Bruce Katz, Vice President and Director of the Metropolitan Policy Program at Brookings, will present key findings. Chrystia Freeland, Global Editor-at-Large for Reuters News, will moderate a panel discussion focused on strategies that businesses, as well as federal and local governments, should employ to advance a national export initiative. Participants in the panel discussions will include the Honorable Fred P. Hochberg, Chairman, Export-Import Bank of the United States, and the Honorable Francisco Sanchez, Undersecretary, Commerce for International Trade, U.S. Department of Commerce, among others. For more information on the July 27th event and to register, please click here. I have also attached the event announcement. Do check it out if you are in DC tomorrow. As to the report, we contend in it—along with providing unprecedented new metro-level data on regional export activity—that if the U.S. is to achieve a significant surge in exports, metropolitan areas will play a substantial role. By demonstrating the key role that exports can play in stimulating and rebalancing our national economy via our 100 largest metro areas, Export Nation has—I believe—enormous market, political and policy implications. ¾ The largest 100 metropolitan areas produce most of the nation’s exports. Home to 65 percent of the nation’s population, the 100 largest metropolitan areas produced an estimated 64 percent of U.S. exports in 2008, including 62 percent of U.S. manufactured goods and 75 percent of services. ¾ Increasing the nation’s exports holds out the potential of generating a significant number of good-paying jobs in the United States at a time when they are much needed. U.S. exports supported 11.8 million jobs nationally and 7.7 million jobs in the top 100 metro areas in 2008. These jobs amounted to 8.3 percent of the nation’s employment and 8.1 percent of all employment in the largest 100 metros in 2008. ¾ Strong manufacturing and patent producing metropolitan areas generate the highest shares of exports from their output.Manufacturing industries are the most export oriented, so metropolitan areas that specialize in manufacturing tend to export the largest shares of their GMP. Export-oriented metropolitan areas are also significantly more innovative, as defined by their rate of patent production. ¾ Future export growth will come increasingly from large emerging markets. Though Canada and Mexico are the nation’s two largest trading partners, U.S. exports to Brazil, India, and China (the so-called BIC countries) have been increasing rapidly during the last decade, doubling in size between 2003 and 2008. It is estimated that middle-class consumption in these three nations, which was approximately 8.4 percent of the global middle-class consumption in 2010, could reach 26 percent by 2020. The U.S. has not taken full advantage of the growth in these countries. At any rate, please do consider joining us tomorrow for what should be a dynamic forum and otherwise please don’t hesitate to let me know what you think of this report once you study it. According to figures from the Federal Transit Administration, the MTA had about 497 million passenger boardings in 1985, when the agency did not have any rail service. As the rail program developed during the 1990s, the figure bottomed out at about 375 million boardings by 1996. The boarding numbers includeFoothill Transit, which broke off from the MTA in 1989. Transit use finally met or slightly exceeded the 1985 level in 2006 and 2007, but dipped to about 487 million in 2009, largely due to the recession. Rubin and Moore noted that the MTA has not been able to increase its market share even though the population of Los Angeles County has increased roughly 20% since 1985. Rubin and Moore said the MTA had a 50-cent bus fare in 1985, which was subsidized by Proposition A, the county’s first sales tax to help pay for transportation projects. The low fare fueled a rapid rise in transit use in the early 1980s. In 1986, they said, bus funding from Proposition A was shifted to rail projects, initially for the Blue Line. With the subsidy gone, the basic, one-way bus fare rose by 35 cents and ridership dropped by about 47 million that year. Today, the basic transit fare is $1.50. It’s hard to disagree with much here, but I am going to. First, where they are right–the transit productivity numbers are falling, and that’s a real problem when we want to rationalize public investment. There are things that might turn this around, like a longer price spike for gasoline, but right now, our investments in transit appear to be diminishing in returns for Los Angeles, and we do not want that. One of my intellectual debts to Tom Rubin and Jim Moore derives from the last point in the paragraph: the need to keep transit fares low and affordable if we want people to use the system, whatever the technologies the system is made up of. Their point I can’t quite sign off on: that we’d have more passengers now had we forgotten about investing in rail and simply gone with the strategies noted above: more bus service (frequency), lower fares. I don’t think we can know that. It’s a very hard assessment. We don’t know what we’re trading off there, really. The faster, line-haul functions of rail transit do provide service quality improvements over longer distances. BRT innovations are still pretty new. If Moore and Rubin are right, it might be that there would be more users with access to fewer destinations; while this isn’t necessary the end of the world, it would be somewhere less than we imagine the optimum possible with many riders having near ubiquitous access throughout the region. That said, we might not be able to afford the optimum given budget constraints, and they could be right: we hit way lower than the reasonable sub optimum. But for all we really know, the counterfactual for transit today–without rail–could also be one where we have even fewer passengers than we do because we didn’t add the line-haul improvements of the rail. With lower fares and better bussing we’d have more passengers than without those improvements, but I don’t think we can know empirically that those improvements would have caused productivity to fall less than the route we went. And we could always argue that the population growth in the region occurred in places not well-served by rail transit. I just wrote a paper for the Volvo foundation asking why, after 19 years of near-frenzied real estate activity in Los Angeles, the Blue Line still didn’t get much development out of it. 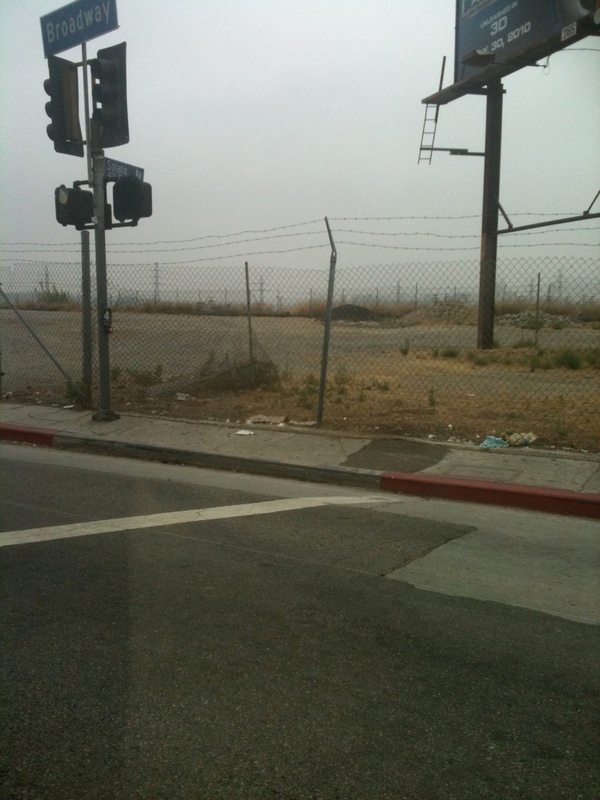 (It did get some, in the downtowns: Los Angeles, Compton, and Long Beach). I don’t know that we can claim that Los Angeles isn’t growing in places that are transit-accessible–this is a research project for when the next census comes out. It could be that we’re putting $750K condos near transit and wondering why we don’t get more riders–though there are some nice, affordable condos along the Gold Line. Nonetheless, the lesson from the FTA numbers require us to think carefully about where we go from here. We are in fiscal crisis in transit, and we are making a huge mistake, given my point earlier this week about frequency and their point about fares. So along with the deafening keen to push more and more money into capital investment around HSR and more rail projects, transit companies are raising fares—by a lot—and cutting service frequency. It’s a pennywise and pound foolish strategy for dealing with transit’s money troubles and its future. Because geographic coverage is only one of our pillars of ridership: fares, frequency, and comfort are the others. Scrimping on those last ones merely to produce geographic coverages means we rushing towards an end-game in transit where we are building trains we can’t afford drivers to drive. I photocopied some materials this morning to share with a colleague of mine who is teaching a class on teaching–something USC does for our students that my beloved alma did not do for us. When I mentioned teaching there, I got chewed out. It’s not about teaching, I was told. It’s about research. But then, when I went out and got my first teaching job, I was underwater trying to put together courses and syllabi–all things I could have been learning in graduate school. What nobody tells you is that teaching and researching go together in terms of time management. It’s not enough to exhort young scholars not to “spend too much time on their teaching” because 1) teaching is a very hard job and researching is a very hard, and that means that scholars actually have two very hard jobs to do when classes are in session; 2) there are about million false time economies in teaching (if you take late work, you stretch the hours you spend grading; if you refuse to take late work, you spend hours listening to students rationalize, lie, and complain and/or enforcing your “no late work” rule); and 3) if you don’t manage your teaching well enough, the emotional energy and work it drains from you detracts from your research. The opposite can be true–teaching can support your research, quite easily, in fact–but it often doesn’t because of the willingness that senior faculty have to plug junior faculty into teaching roles that don’t draw on their existing areas of expertise. Most universities are scrambling to cover courses, and it’s hard to match teachers with subjects exactly. Nonetheless, it is easier for scholars to teach in their areas of expertise than it is to teach outside them. And it helps to teach in your area because you can acquire knowledge of how teach the material instead of having to learn the material yourself as you teach the material. He was so clear, so coherent, so perfect that one understood not only the particular models he explicated and their limitations, but also how one might ask and answer a large family of questions in the same conceptual neighborhood. Two things: Levin doesn’t spend any time time discussion Tobin’s research contributions. Those will either stand out–or not–and withstand the test of time on their own, or they won’t. Chances are, you win a Nobel, you don’t have to fret too much about your legacy. Instead, Levin talks about the invisible work of a great scholar–the greatness that Tobin exemplified as the master of his field, and how the assurance he had in the mastery of the material made for clarity and presence in the classroom. If my recent research on this is any indicator, young female faculty and very senior male faculty are *far* more likely to get shoved into the frontlines of teaching undergraduate general education course than young male faculty or senior female faculty. In the case of the universities I sampled, senior male faculty outnumbered senior female faculty 7 to 1; you are more likely if you are senior female faculty to be holding administrative responsibilities than if you are a male, which means these senior women are less available to teach in the froshie frontlines. Male junior faculty are much more likely to be teaching upper division and graduate classes in their fields. So that thing about being a master of the material is differentially allocated between male and female scholars, and departmental housekeeping is allocated in an oddly gendered way, yet gendered nonetheless. I’m thinking about calling this paper “Masters and Mommies” because of the way in which young female faculty are teaching 13th grade. Found toodling around Chicago area parks. This just makes me smile.